Did you know that Emoto composer Ryan Elder has been working alongside Whitney Avalon, Steve Gossett, and Michael Sullivan in producing the “Princess Rap Battle” comedy short? Each individual music video is already boasting views up to the multi-millions on Youtube – which is not so surprising to the generations of us, who were raised on Disney Princesses and storybook Fairy Tales, left perpetually wondering and weighing which character (protagonist? antagonist?) had really been dealt the worst hand turned ‘Happiest-Ever-After’. Elder composed the music (but not the lyrics) for Cinderella vs Belle (ft. Sarah Michelle Gellar), Maleficent vs Daenerys (ft. Yvonne Strahovski), & Mrs Claus vs Mary Poppins – in addition to mixing and mastering the music of the entire series so far. “It’s been super fun working with Whitney and the team on those. The positive response to them has been really exciting,” – Elder said of his experience working on the musical comedy short. 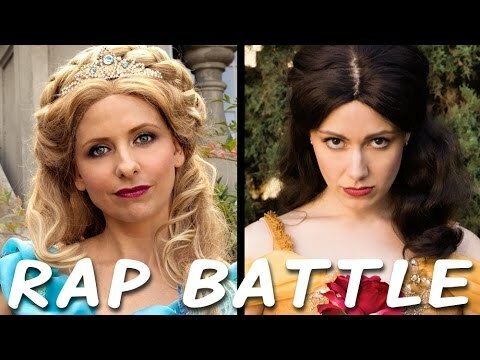 You can purchase the music to each “Princess Rap Battle” on iTunes (via Whitney Avalon) and find more of the “Princess Rap Battle” music videos, like the one featured below, on Youtube!